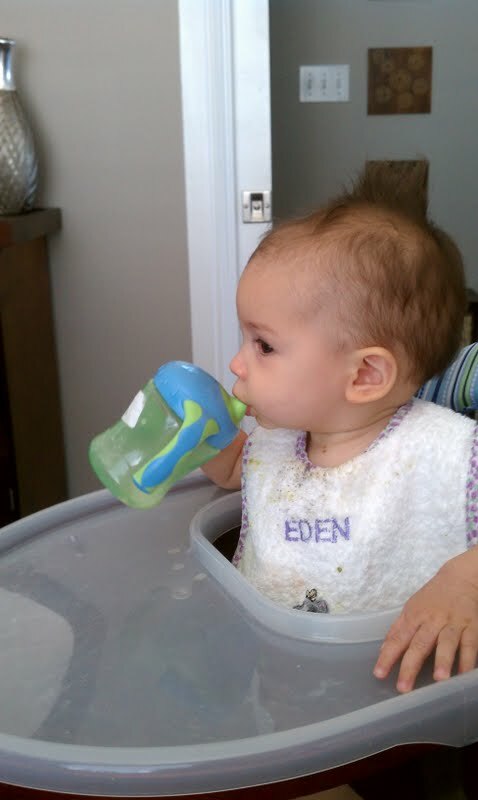 Yesterday, I learned to use a sippy cup. Go me! Mommy and Dad Guy tried to help me use one a long time ago, but they kinda abandoned it for a while and then brought it back a couple of days ago. Because I’ve grown a lot and learned so many new things! The first time we tried, I didn’t really get it. But after helping me with it a few times, I really got the hang of it! 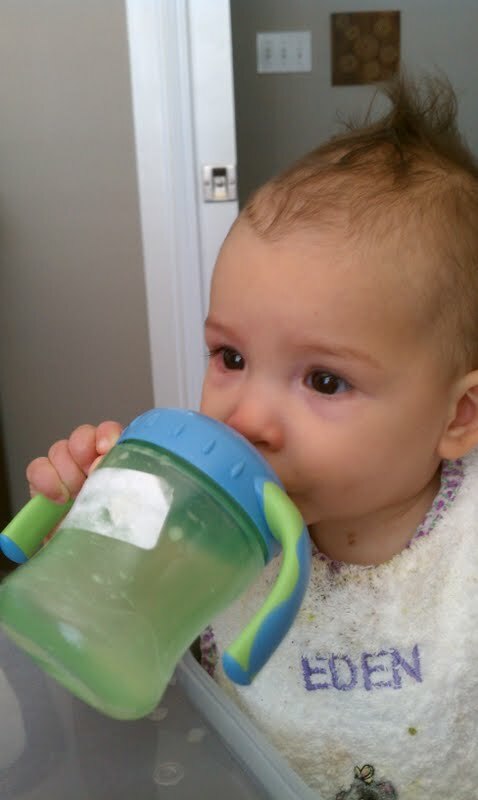 Now, I have a sippy of mommy-milk every day at lunchtime to go with my food. I’m such a big girl! You ARE such a big girl! Your cousin hasn’t gotten the hang of it yet, but maybe if she sees you doing it, she’ll get it too! Way to go! Silly girl how can your thumb compete with the sippy cup???? ?